Mike Pence's Brother Spent $21K At Trump's DC Hotel - Joe.My.God. For President Donald Trump, elections don’t just decide who he can count on in Congress, they also determine who he can count on as customers. 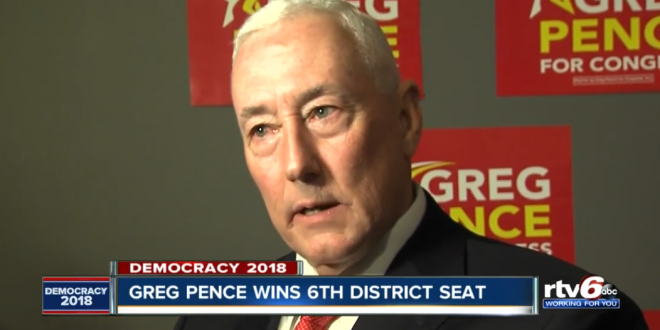 And after Tuesday night, Trump’s most loyal new customer appears to be Greg Pence, the brother of Vice President Mike Pence. Greg Pence’s congressional campaign, which resulted in an easy victory, listed expenses of $21,400 at the Trump International Hotel in Washington, D.C., from November 2017 to September 2018, according to federal election records. The biggest chunk of that came this March, when the campaign shelled out $7,300 for a fundraiser. That means that, in an unusual arrangement, the vice president’s family indirectly funneled money to the president’s family. Donald Trump owns 77.5% of the Washington, D.C., hotel, while his children Eric, Don Jr. and Ivanka split the remaining 22.5% share of the project.